The Garmin GPSMAP 64st is an alternative to take into account, particularly if you have not yet made up your mind on a new GPS. This model features virtually anything one might ever be looking for. Depending on the options you end up choosing, the price of this device can vary from around two hundred and fifty dollars to almost four hundred. Keep in mind that if you are shopping online may benefit from occasional sales and discounts offered from online retailers and can thus get it at a much fairer price. The display of the Garmin GPSMAP 64st might be a little small compared to the one of other models we’ve come across during our thorough research. The model has a 2.6-inch sunlight readable color screen. Some buyers have complained that the display is not so bright as to fit their needs and preferences. On the other hand, other individuals claim that this type of display is exactly what they have been looking for. 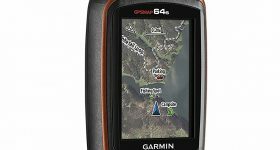 Not only is the Garmin GPSMAP 64st worth considering if you’re looking for a dependable GPS, but it also might be an interesting alternative for people looking for a GLONASS receiver. This is a Russian constellation type of receiver that makes it possible for the unit to perform very well in canyon-like environments and northerly latitudes. Sure, GLONASS can be used in other circumstances as well, but it might not offer the best performance. Connectivity is an innate feature of this model, as the GPS unit can connect to the user’s smartphone and share data of any kind. Once you’ve collected all the data you need on the GPS, perhaps you might be interested in transferring it via a computer. You may do so via a USB cable. Sharing your waypoints and geocaches with other Garmin users in the area can be done with a single push of a button. What’s more, the model can be utilized to receive emails and text messages using the GPS instead of the smartphone. All of this occurs thanks to the wireless connectivity capability of the Garmin GPSMAP 64st. It goes without saying that the device can be utilized with other Garmin compatible ones, ranging from accessory sensors to heart rate monitors. Since this model does not have a touchscreen, it speaks to the needs of individuals who are accustomed to using traditional buttons. From what we’ve seen by reading the buyers’ reviews on this item, all of the buttons are easy to push and the unit is relatively easy to operate. All in all, the Garmin GPSMAP 64st poses no problems even to users who aren’t necessarily tech-savvy. Nevertheless, in some conditions a touchscreen might come in handy more than several buttons. For instance, when you want to enter waypoints, it’s much easier to utilize a touchscreen. However, buttons are the most feasible option when engaging in activities such as mountain biking and hunting, where you need to keep your eyes on the track or the game. The GPSMAP 64st has a built-in worldwide basemap with shaded relief and a 1-year subscription of BirdsEye Satellite Imagery. The really neat thing about this unit is that buyers can make use of the 8GB onboard memory and a microSD card slot, and can thus upload all the maps they’d like. As is the case with other products manufactured by the same brand, this one is fully compatible with Garmin Custom Maps, which gives users the freedom to transform electronic and paper maps into ones that are downloadable for the device you own. 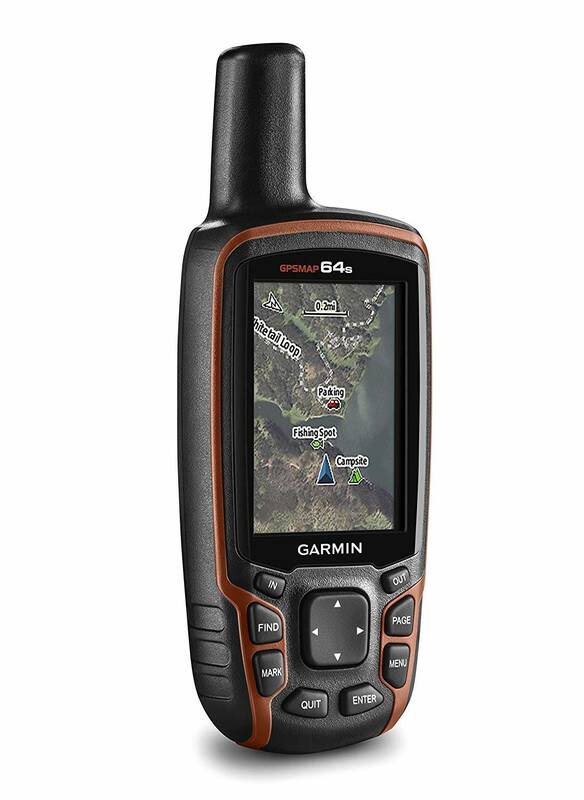 Just as we have seen in many other Garmin models, buyers have two choices when it comes to powering the GPSMAP 64st. For one, they can use two standard AA batteries that will do their job as long as they don’t run out ahead of time. Secondly, they have the option of buying a rechargeable battery pack that can perhaps last for a longer amount of time. In addition, this battery pack doesn’t have to be taken out of the device when it has to be charged, allowing buyers just to connect the GPS unit to an AC adaptor or a USB cord attached to a computer. In regards to performance, most of the customer reviews we’ve analyzed praise this particular feature and claim that the model is incredibly accurate. The loading time of the model has exceeded the expectations of most of the buyers who chose this alternative.